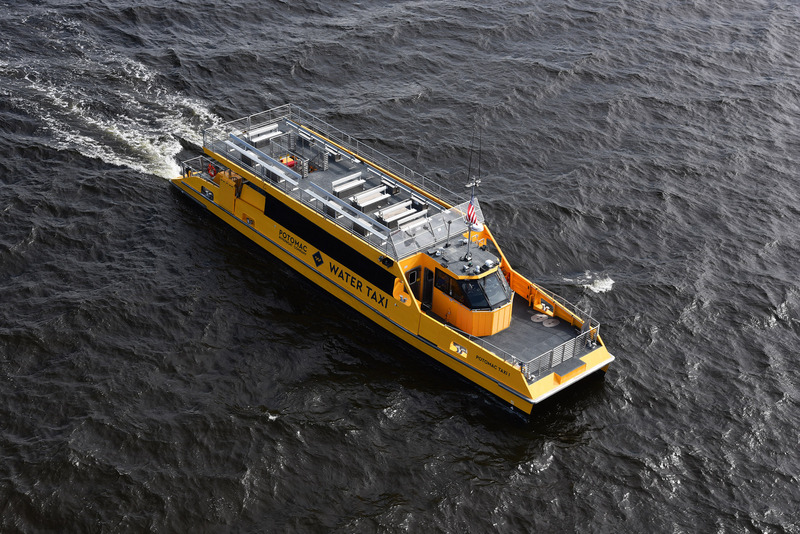 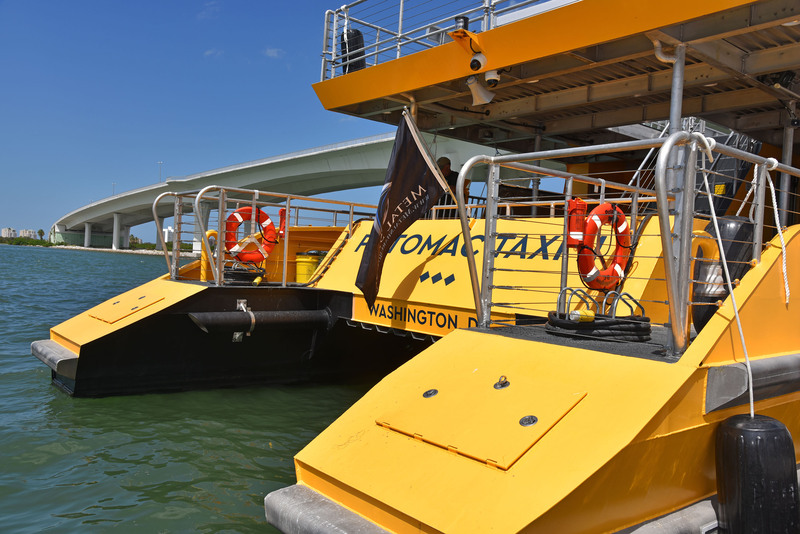 March, 2017: Construction begins on Potomac Water Taxi I & II. 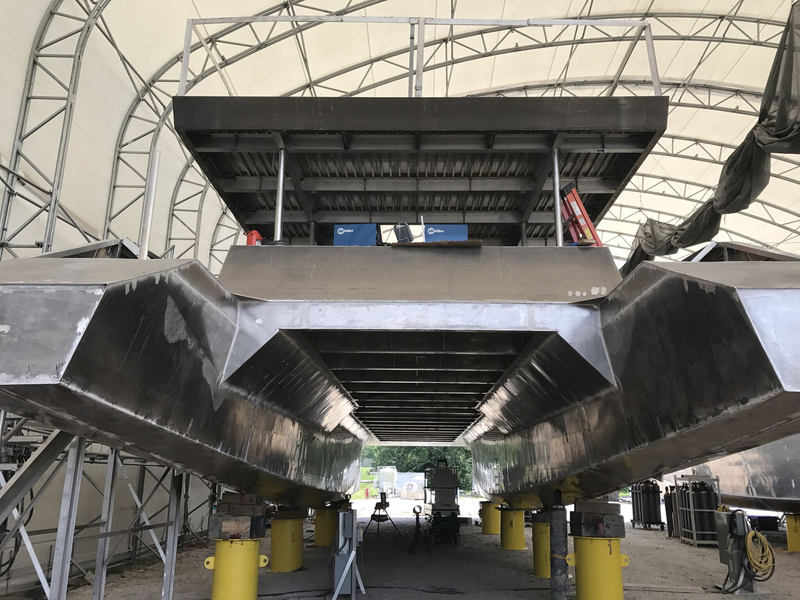 Shown here, the inverted hull of #1 begins to take shape in one of Metal Shark's assembly bays. 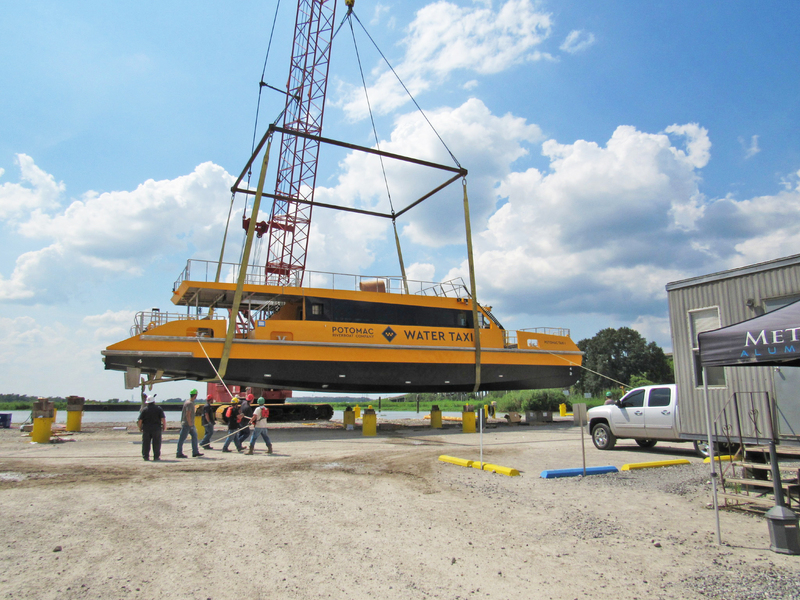 The completed hull of Potomac Taxi I is flipped via crane. 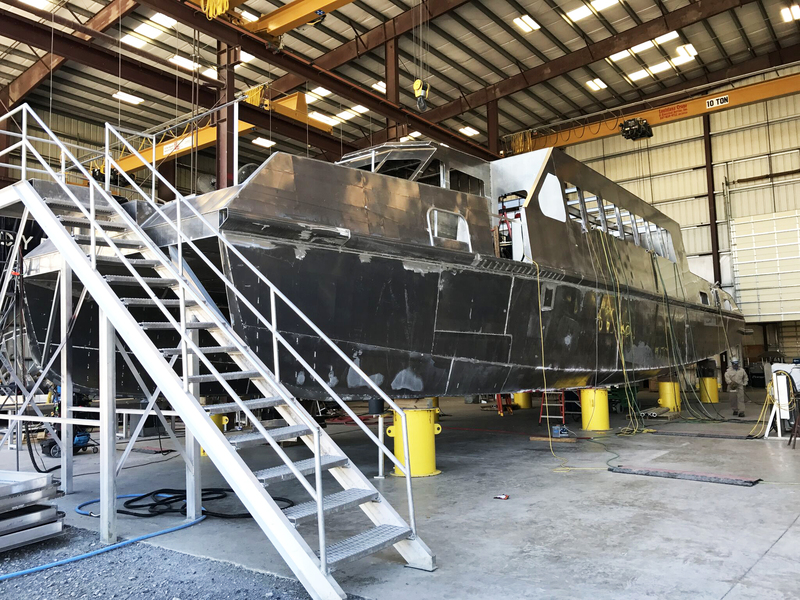 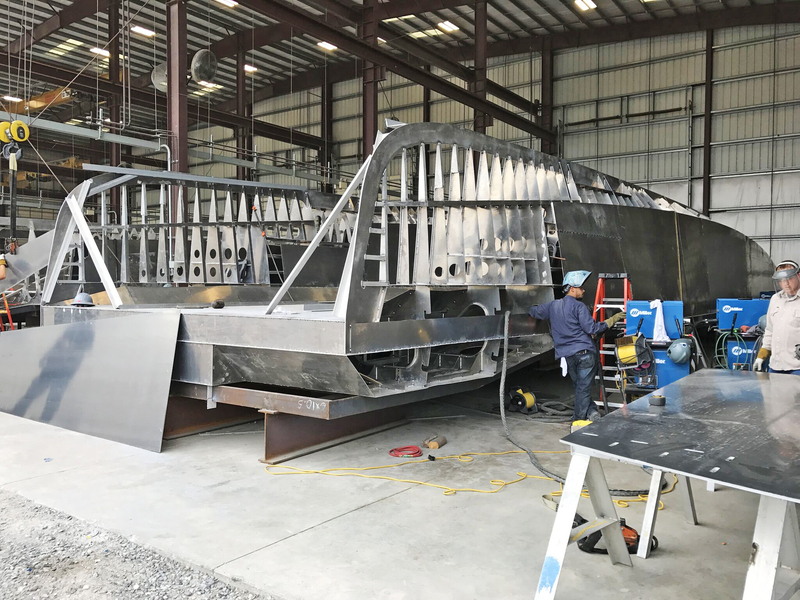 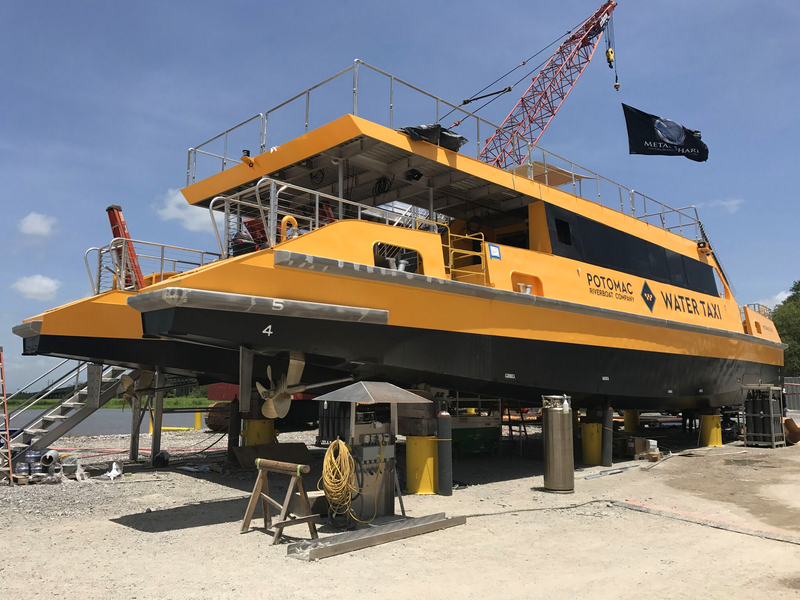 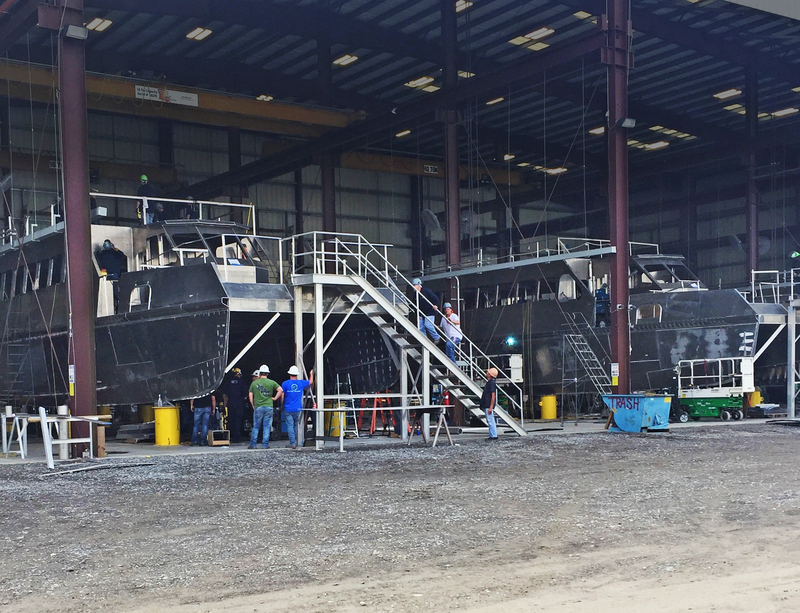 Potomac Taxis I & II taking shape at Metal Shark's Franklin, Louisiana shipyard. 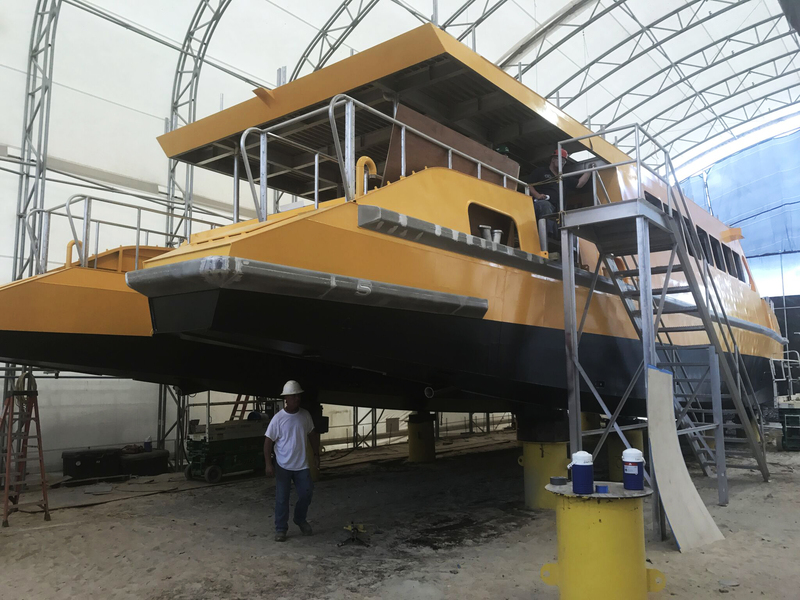 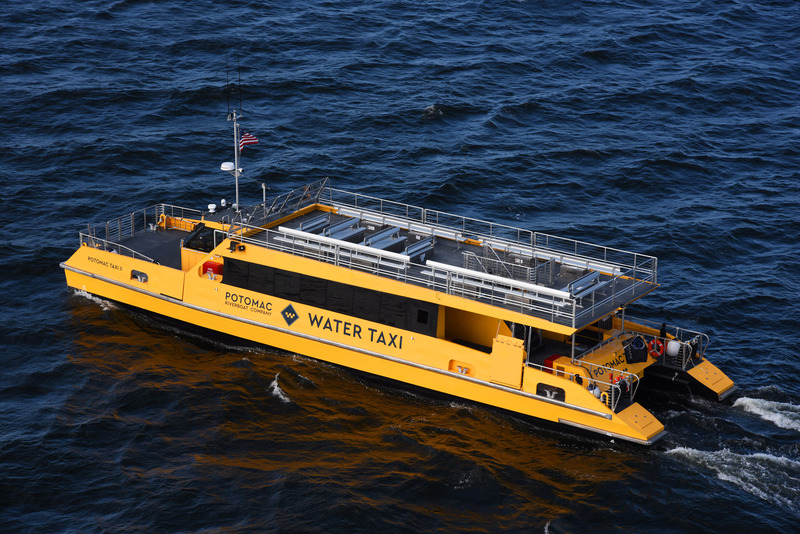 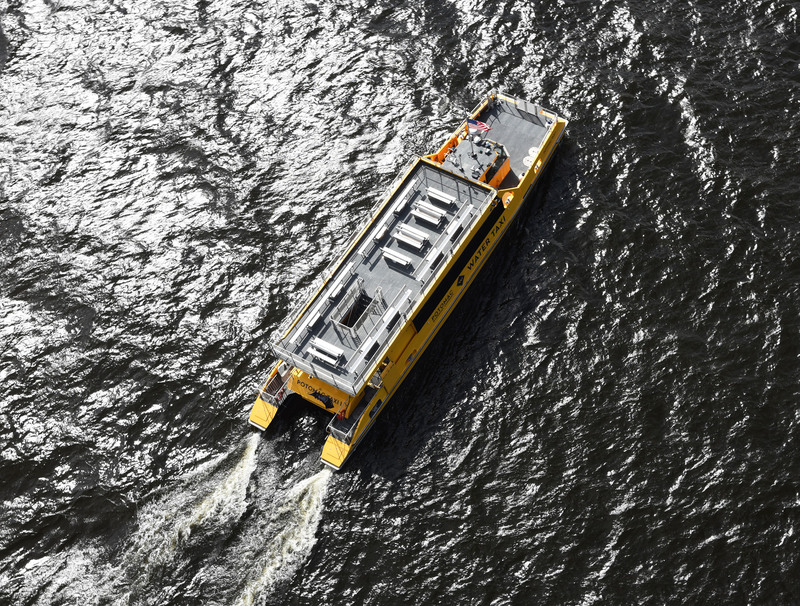 Now painted in its distinctive Taxi Yellow color, Potomac Taxi 1 is being prepared for launch. 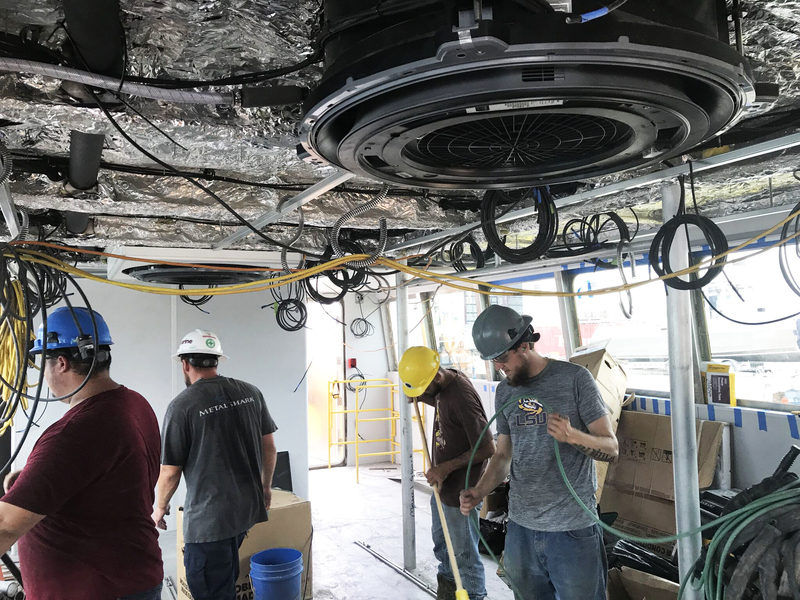 Inside, crews work on fitting out the vessel. 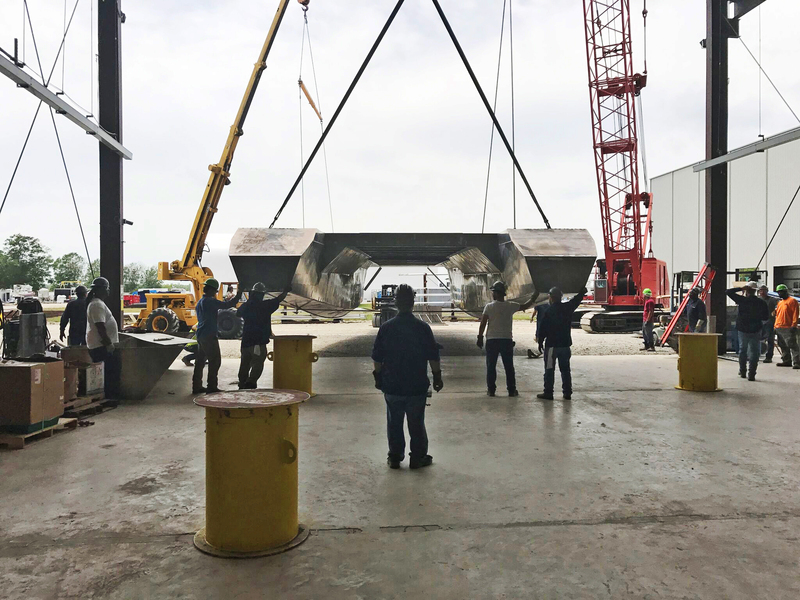 The vessel is lowered by crane into the water, where final rigging, inspection, and testing will take place. 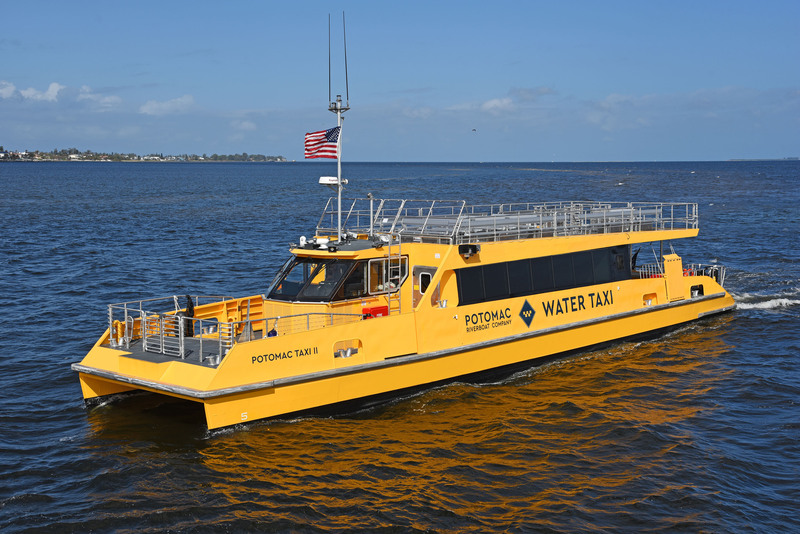 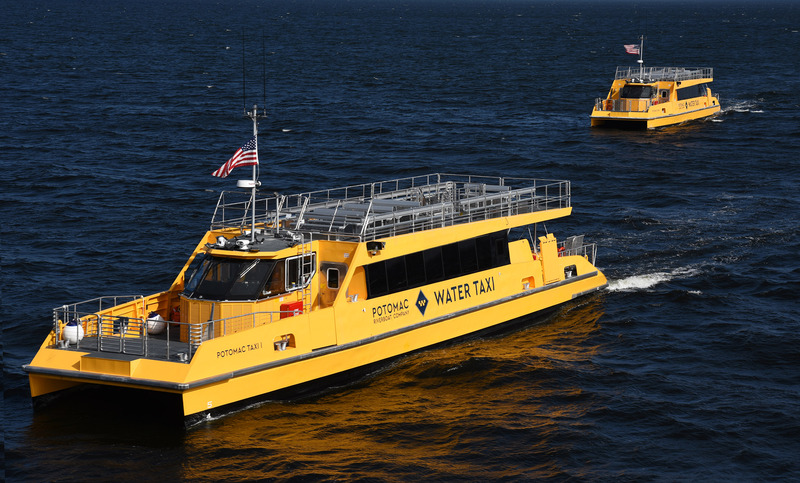 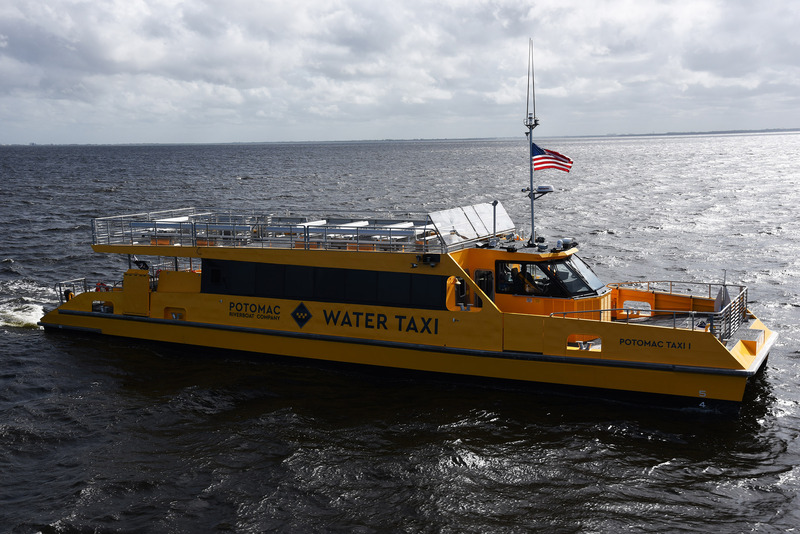 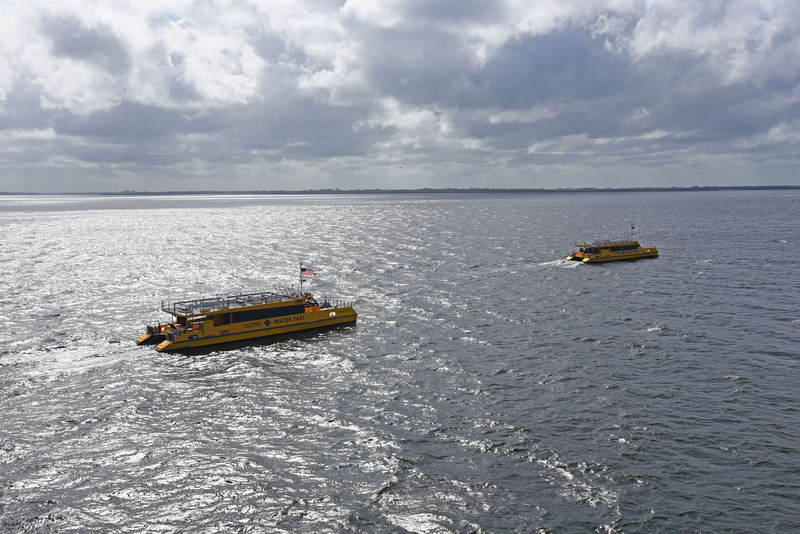 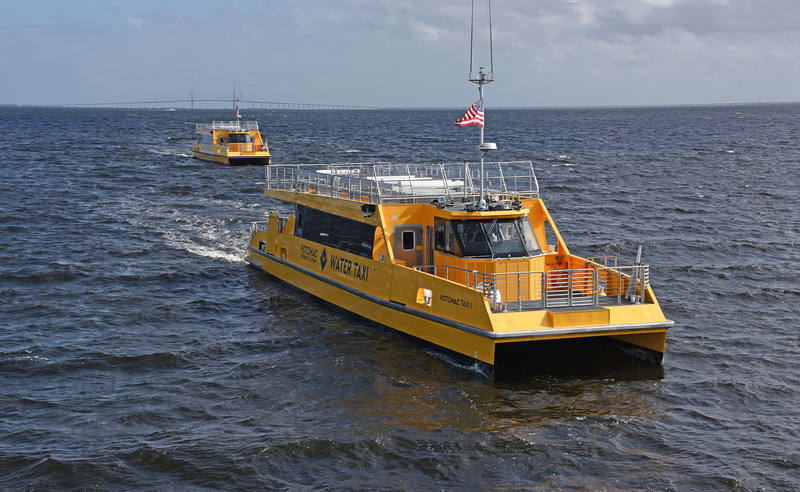 Potomac Taxis I & II shown here crossing Tampa Bay en route to Washington DC. 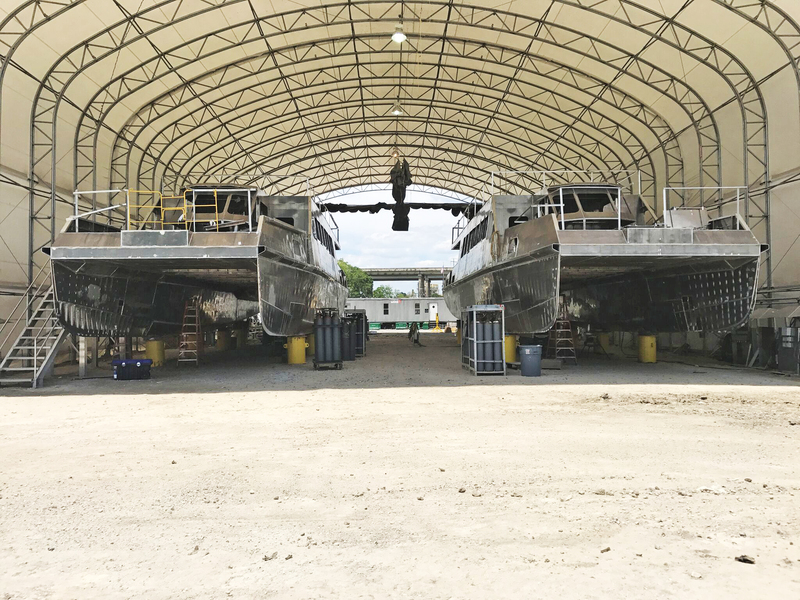 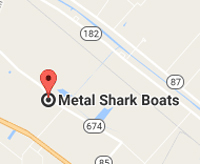 Both vessels built by Metal Shark in six months, start to finish. 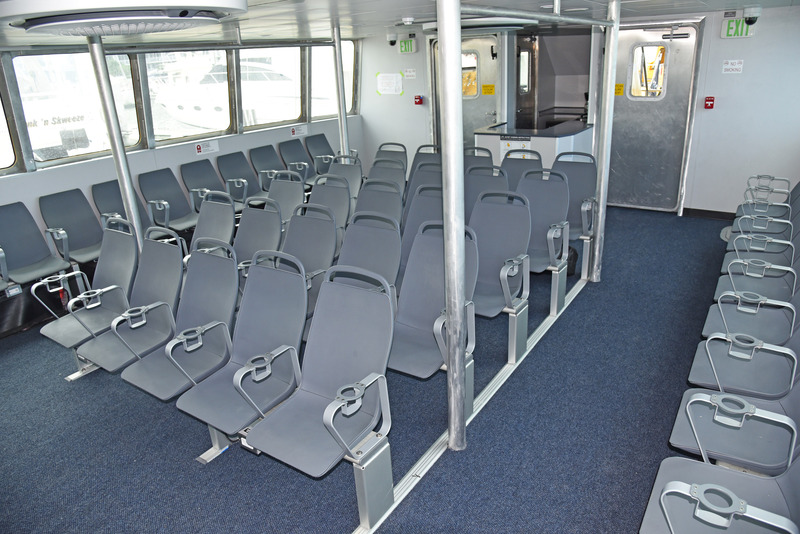 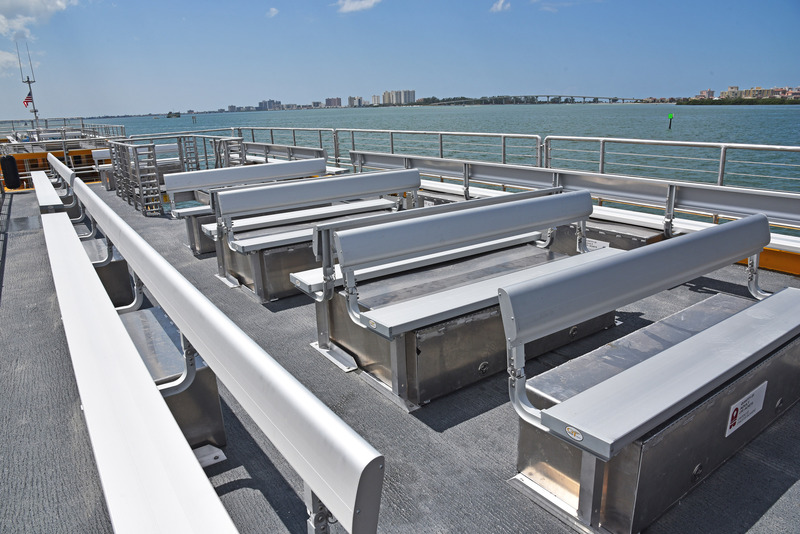 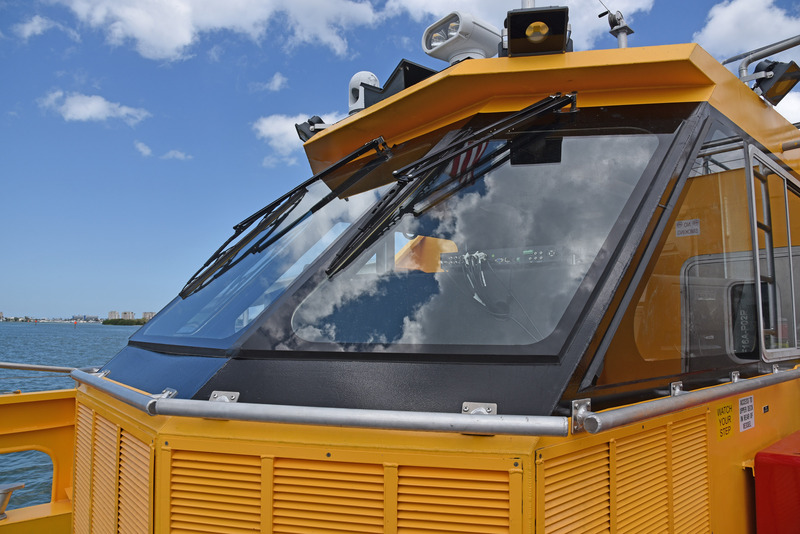 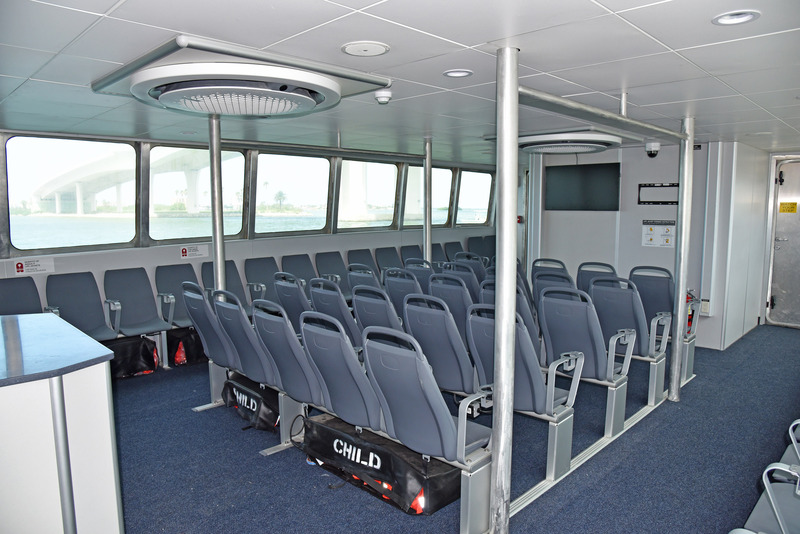 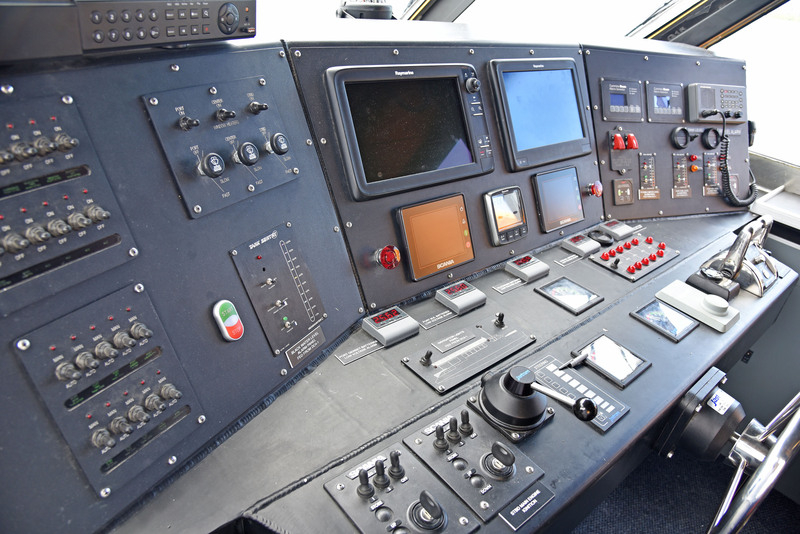 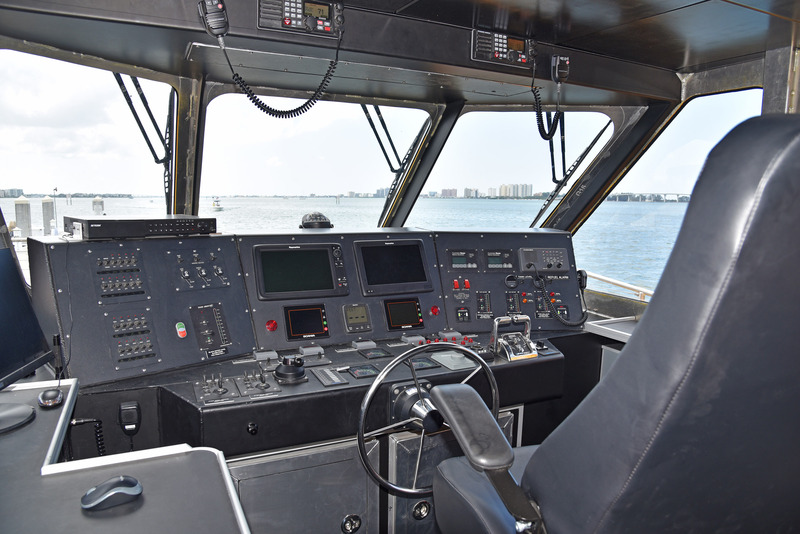 Elevated pilothouse combined with Metal Shark's signature "pillarless" glass provides superb visibility.